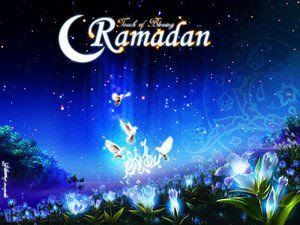 Ramadan is the ninth month of the Islamic calendar, and is noted as the month of fasting. During this month, most Muslims fast everyday from dawn till dusk. This fast includes abstinence from food, drink, smoking, and sexual relations. Furthermore, foul talk, lustful thoughts, and vain speech is even more discouraged than normal. Testifying there is no deity worthy of worship besides Allah, and that Muhammad is His messenger. Prayer five times a day at the appointed times. Giving a portion of one's wealth in charity to the poor and needy. Making a pilgrimage to the Kaaba in Mecca at least once in a lifetime. Fasting is the third pillar and has a very important role in Islam. While Muslims may fast throughout the year, fasting during the month of Ramadan is an obligatory action just like praying and giving charity. However, some people are exempt from this obligation. Muslims are commanded to fast in the Koran. In Chapter 2, verse 183, Allah tells us: You who believe, fasting is prescribed on you as it was prescribed on those before you, so that you may learn self-restraint. When Allah says 'those who came before you,' He is referring to Jews and Christians since they follow books and prophets that came before the Koran and Muhammad. Therefore, Allah is telling us that Jews and Christians were ordered to fast as well. There is ample evidence of this statement in both the Old Testament and the New Testament. Moses fasted while on the mountain for forty days and forty nights. In order to avoid punishment from God as prophesied by Jonah, the people of Nineveh fasted. Jesus fasted for forty days and forty nights in the desert. We can see that fasting was practiced well before the time of Prophet Muhammad and the establishment of the religion of Islam. Jews still fast on certain days of the year, and some sects of Christianity, most notably Catholics and Orthodox Christians, also fast on certain days. However, very few Protestant denominations mandate fasting, though many do encourage it among their faithful. The Islamic fast has many benefits. It is nothing short of amazing that over a billion people the world over are all fasting at the same time. Furthermore, even though both rich and poor must fast, the wealthy amongst us have the opportunity to feel some of the hardship experienced by those less fortunate. In addition to this, since Ramadan is also known as the month of charity, the poor also have the chance to gain from the enhanced benevolence of the wealthy during this time. Some people are exempt from fasting. Muslims who are traveling do not have to fast. Pregnant and nursing women do not have to fast. Muslims who are sick do not have to fast. When the month ends, Muslims celebrate the end of Ramadan with Eid ul Fitr, one of only two Islamic holidays. Andalas University (Unand), the oldest university outside of Java and the fourth oldest in Indonesia, established on the Decree of the Minister of Education and Culture no. 80016/Kab; December 23, 1955. The University was officially opened by its founder, along with Drs. Mohammad Hatta, and the Minister of Education and Culture Sarino Mangoenpranoto on September 13, 1956. 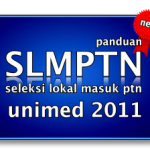 State University of Medan (Unimed) opening reception Local Selection of Higher Education Student Affairs (SLMPTN) 2011/2012 academic year. 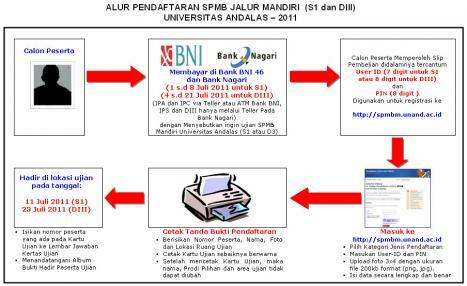 Payment of Examination Fees has been opened since June 30 and closed on July 8, 2011. Acceptance of new student activities in accordance with Kepmendiknas No. 34 of 2010 which states that the acceptance of new students to local selection should be done after the announcement of a written exam SMPTN pathway. 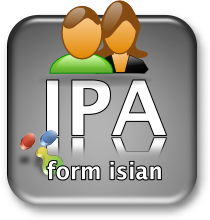 Registration for IPA Program, click here! 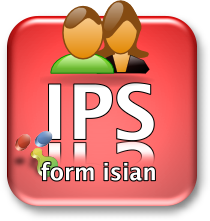 Registration for IPS Program, click here! 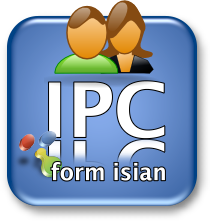 Registration for IPC Program, click here! This provides a local path to the 1181 freshman bench and directed to 31 programs of study. And on the exam Unimed has teamed with the University of Amir Hamzah and Al Fattah universities to 10,000 participants. 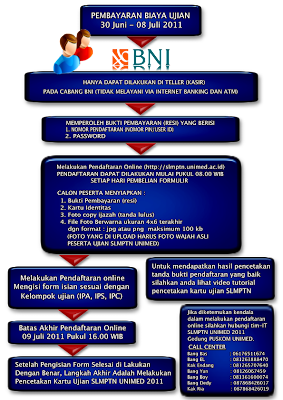 Registration is done online is no different when the participants SNMPTN ago. Simply by opening a previously www.unimed.ac.id participant is required to pay Bank BNI diloket form with the identity of potential participants, such as ID cards, Parpor, driver's license or student card. Mentioned about the costs, participants who chose science and social studies group charged Rp 150 thousand, while the IPC participants have to pay Rp 175 thousand. At the local channels have regular D3 specialized field of study in Civil Engineering and Civil Engineering as well as for non-regular directed to S1 disedikan all majors. Not everyone accepts or believes in positive thinking. Some consider the subject as just nonsense, and others scoff at people who believe and accept it. Among the people who accept it, not many know how to use it effectively to get results. Yet, it seems that many are becoming attracted to this subject, as evidenced by the many books, lectures and courses about it. 1. Recognize negative thoughts as they take shape and bury them before they take root. If you feel your mood darkening again, put a stop to these dangerous musings before you succumb to them. Rule your emotions, don't let your emotions rule you. 2. Hang out with people who think positive as well. This condition can be quite infectious. 3. Just as contagious is a negative mindset. So avoid people who tend to think negatively on a constant basis. After all, who wants to hang around naysayers all the time? 4. Work out and eat right. 5. De-clutter. Surround yourself only with the things you love and that make you feel good--framed family photos, favorite books, potted plants, works of art, or whatever else that's meaningful to you. 6. If people tell you you can't do something, take that as a challenge and prove them wrong. If you show them it can be done after all, maybe they'll even be inspired by your success. You can be a living tip for positive thinking to them. 7. Just when you're about to blow your top for all the seeming misfortunes that befall you, remind yourself of all your blessings instead. This practice can be very sobering, indeed. 8. Be a volunteer or get involved in charity work. Not only will you realize the sheer number of people who have bigger problems than you do, but there is also such an emotional and even spiritual high to be experienced in helping others. 9. De-stress. You're more likely to be cranky if you're perpetually stressed out. Getting started is easy. It's the maintenance that's tricky. Make a habit out of thinking positively till it becomes an indelible part of who you are. 10. Keep it up. Getting started is easy. It's the maintenance that's tricky. Make a habit out of thinking positively till it becomes an indelible part of who you are. Positive thinking is a mental attitude that admits into the mind thoughts, words and images that are conductive to growth, expansion and success. 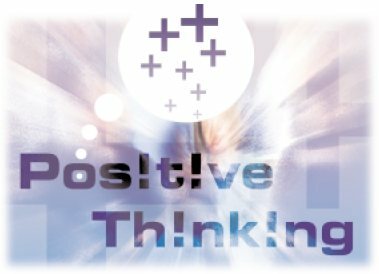 Many don't think that positive thinking can do much for them. Quite the opposite is true actually. There are many things that positive thinking can do for one's health. Here is how it works. Those who use positive thinking find that they have fewer heart attacks. Those who anger easily are under constant stress, and who find that they worry too much are those who have heart attacks. When a person practices positive thinking, then they find that they have less stress in their life. This is something which is very well needed as some people are already prone to them. This is the first way that it helps a person health wise. There is something about positive thinking and a person's mental health as well. There are many people who have very stressful jobs and who also have a hard time just allowing things to happen. However, when they look at things a different way, they are said to have fewer issues that start in the mind. They don't get depressed as much and so forth. Another thing is that those who found positive thinking a bit too late have found that if they are diagnosed with something, they have that hope that they will get through it. Those who are diagnosed with a disease that could theoretically kill them are said to have better chances of fighting when they think positive. Self esteem is something that people get as well when they have this thinking on their side. Many people who listen to the negative things that other people say to them will find that they get no where in life. They find that they can fight the fight and up their chances of beating it. As one can see, there are some connections with those who work with positive thinking and those who have health issues. If they don't have health issues, then it keeps them from this. That's what thinking can do for a person and their health. This is the best thing that people can do. Many might find that their doctors will order this more and more as it can be the beginning of a beautiful thing. All it takes is thinking a little bit differently and not allowing things to annoy a person as it would have. Health is the level of functional and (or) metabolic efficiency of a living being. In humans, it is the general condition of a person in mind, body and spirit, usually meaning to being free from illness, injury or pain (as in “good health” or “healthy”). Classification systems such as the WHO Family of International Classifications, which is composed of the International Classification of Functioning, Disability and Health (ICF) and the International Classification of Diseases (ICD), are commonly used to define and measure the components of health. To create Healthy Living we need Health care as the diagnosis, treatment, and prevention of disease, illness, injury, and other physical and mental impairments in humans. Health care is delivered by practitioners in medicine, chiropractic, dentistry, nursing, pharmacy, allied health, and other care providers. It refers to the work done in providing primary care, secondary care and tertiary care, as well as in public health. With all the emphasis on maintaining a healthy lifestyle sometimes we overlook some of the basic things that help us accomplish this. Many may seem to be a matter of common sense, but if you follow these you will be on your way to healthy living. 1. Drink plenty of water. It is suggested that we consume 8-10 glasses per day. This includes water that we get from foods and other drinks that we have. A good tip is to drink a glass before eating. Sometimes we are not actually hungry but are dehydrated. 2. We all know that eating fresh fruits daily is advised. But did you know that it is best to eat them in between meals or before meals. If you eat them directly after a meal your body will store it away as unused energy. 3. You should eat a protein with each of your meals. Some excellent sources of protein would include fish, beans, meat, protein bars and shakes. Your body needs these proteins so ensure that you are getting enough of them. 4. There are some foods that are better avoided. These would include potatoes, white bread, instant oatmeal and french fries. The reason is that these are foods that that body breaks down quickly into sugar. 5. Start a regular exercise program. If you are not in the habit of exercising start out slow and work your way up to something that is more strenuous. Choose something that you enjoy doing. If you enjoy the type of exercise your chances of continuing it over the long term increases. Over time you should work your way up to 3 to 5 times a week for 30 minutes or more. You will be surprised at the extra energy it will give you and the improvement in your mood. Try to incorporate some weight training in your schedule. This is an excellent way to naturally increase your metabolism. 6. Include raw vegetables into your daily diet. Nutritionists tell us that the darker the vegetable is the richer it is in nutrients. Concentrate on the ones that are dark green, dark purple and dark orange. 7. You should eat smaller meals with snacks in between. Eating every two to three hours is optimal. This will help you to naturally increase your metabolism and that is essential to healthy weight control. Peanut butter on a cracker is a good example of snacks you should include. If you wait until you actually feel hungry it may be too late. This causes your body to go into a fasting state. 8. Include fatty acids into the diet. Ground up flax seed is a good source to have with foods or cereals. It also gives you fiber. 9. Eat foods that are high in fiber. These foods will help you control cholesterol levels as well as giving you the feeling of feeling fuller. Some examples of these types of foods would be whole grains, fibrous vegetables and legumes. You would want to speak to your doctor before beginning any supplementation program. 10. Raw nuts and seeds are a good source of essential fatty acids. You should limit the. amount to about a handful. You will feel and look a lot better by knowing the basic ways to change or improve your lifestyle. Since 2003, the Executive Council of Manitoba has included a minister responsible for Healthy Living. The position was created as a subset of the Ministry of Health, and is not a full cabinet portfolio. Water is an essential part of our creation. There are many reasons why we cannot go on living without water. Water takes up about 75% of our body. Our brain has over 85% water. Therefore it is essential that you need to drink adequate amounts of water during the day so that you remain healthy and well. You need to make sure that you keep drinking adequate amounts of water to stay hydrated. Water is a key to healthy living and it will help you rejuvenate your lifestyle. You need to make sure that you drink enough amounts of water so that your fluid levels are maintained for a fitness and weight loss. As we start lacking water in our body or as the water levels keep dropping in our body we slowly start to accumulate toxic waste. This is because water is an essential detoxification agent in our body. In fact it is the basic detoxifying agent in our body. The toxic wastes in our body are formed when we eat or drink anything at all. Once the food and the fluids are processed what is left behind forms the toxic waste of the body. This waste has to be taken care of and this is done only with the help of water that aids to carry all the waste out of the body. This can be also compared to as flushing of the body. Therefore water takes an essential part in the cleaning of the body which would otherwise lead to many diseases and an unhealthy lifestyle. If you are not flushing your body periodically with the necessary amount of water, you would soon fall sick. If you want to properly tone your body then you should do so with the help of maintaining a proper water diet. A proper water diet would be to take the right amounts of water at the right time. You should make sure that you are making the right use of the water available by drinking adequate amounts of water. There are many body functions that water helps in. Water helps in delivering nutrients to our cells. Also water helps in the proper functioning of the brain. Waste products from our cells are eliminated or flushed away because of water. Our intestines that are a common hotspot for bacteria and other germs is maintained clean with the help of water. Water will also aid in the proper digestion of food. Therefore if you are on a diet or weight loss programs, you should make sure that you drink plenty of water because this way you will be able to digest your food faster and better. Also water will stimulate frequent and healthy bowel movements that would help to clear the body of the waste. 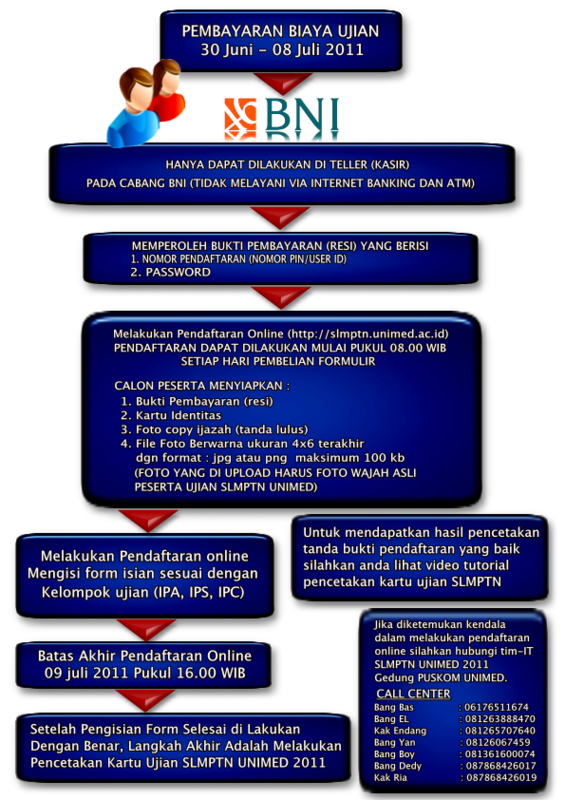 Problem exercise is intended to facilitate preparation of our prospective students to enter the USM STAN STAN 2011. Because after all the Government does not prohibit public universities (PTN) conducted an independent selection pathways for admission of new students. Based on Government Regulation No. 66/2010 the government determines the 60 percent quota of new students PTN done through the National Selection State University (SNMTPN). The point Kemdiknas not assign 100 percent of students accepted through SNMPTN. Ministry aware of universities should be given discretion in accepting students use the principles established by the college. It affirmed the minister after receiving serfitikat Angklung Indonesia Nonbenda Cultural Heritage of UNESCO, which is given by the former Ambassador to UNESCO in Kemdiknas Kunaefi Tresna Generous.